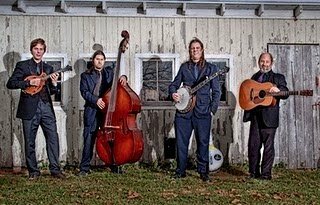 The Henhouse Prowlers, from Chicago, Illinois, USA, have begun an eleven-day tour in Belgium and the Netherlands (see the EBB post of 14 February for the tour schedule). The band are keeping a diary of their tour, which will be accessible on the original Bluegrass Blog through this link. Read the first instalment here, covering their arrival in Belgium, their first show, and the good vibes from their meeting with the Sundowners (B).